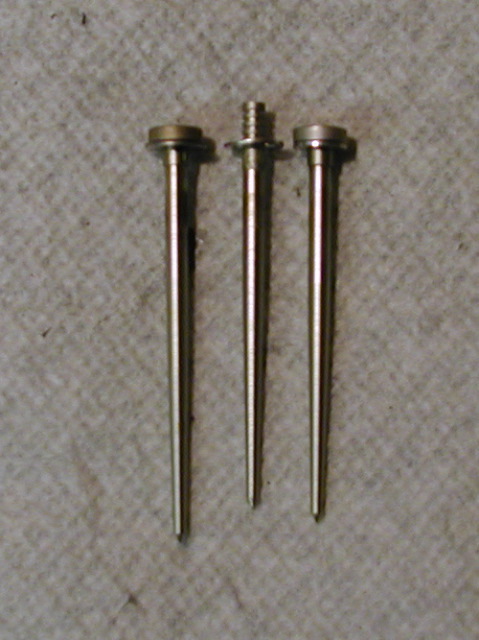 Three carburetor needles. Stock NC30 (left), HRC (right), and unknown (center). The needles are shown with the top spacers/clip matched as if they were in the slide. Note the HRC and unknown needles are shorter, allowing more fuel flow (more rich) at a given throttle opening.